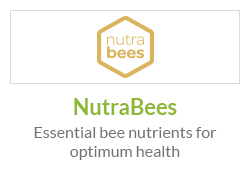 To augment their highly respected, best-selling Royal Jelly health supplements, Biobees have been committed to producing a facial skincare product of the highest quality and effectiveness. The result of this protracted work is BioBee’s Royal Beauty Skin Repair & Renew Crème. 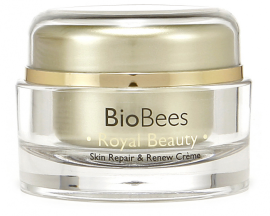 BioBee's Royal Beauty Skin Creme is a specially formulated face cream packed with ingredients which have been shown to improve the skin’s moisture, elasticity, and cell regeneration. Not only can this cream help repair your skin, it will also protect against oxidative stress, a common aging factor. BioBee’s have been committed to producing Royal Jelly products of the finest quality for thirty years. Products that are used on the skin should offer protection to it, moisturise and significantly assist the regeneration and repair process on a daily basis. This can only take place if the product contains the correct ingredients with the correct co-factors. BioBees® Skin Repair & Renewal Creme provides exceptionally effective nutrients to repair, heal and beautify skin. Skin is the largest organ of the body. BioBees® Skin Repair & Renewal Creme is a unique facial product; containing Royal Jelly, Hyaluronic Acid, Evening Primrose Oil, Vitamin E, Aloe Vera, PABA, Hydractin® and Celligent® together with several other effective plant extracts and a fruit and a flower extract. Celligent® within accelerates the regeneration of UV-stressed skin. Bioceuticals® Royal Jelly within BioBee’s Royal Beauty Skin Repair & Renew Crème is rich in amino acids, vitamins, minerals, essential fatty acids and enzymes which are the building blocks of life. This restorative, luxury product contains a total of over twenty 20 ingredients to assist in achieving a long-lasting youthful appearance. Hydractin® has been shown to produce an improvement in skin moisture in-vivo in a short-term study – up to 38% higher after 1 hour. In a longer-term study of 28 days an improvement in skin moisture in-vivo was 14%. Celligent® clearly inhibits the formation of damage to DNA. Active cell and DNA protection during solar irradiation – in-vitro test showed that it promoted rapid regeneration of damaged cells and DNA following UV-induced erythema (reddening of the skin due to inflammation). (In- vitro test). Helianthus Annuus (Sunflower) Seed Oil is one of several plant-derived emollients that mimic the lipid content of the skin. This light oil helps to stabilise and maintain the structure of the skin's inter-cellular matrix. This helps to prevent the loss of moisture and protect against cellular damage. Camelina Sativa Seed Oil contains over 50% polyunsaturated fats. 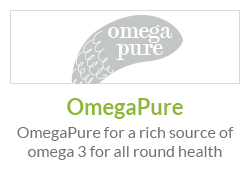 It is especially high in the essential fatty acids linoleic acid and alpha-linolenic acid, both of which cannot be manufactured by the body. It is nourishing and helps to heal and treat common skin conditions. Glycerin is a humectant and an emollient which helps to soften and soothe skin. Glyceryl Stearate acts as a lubricant on the skin’s surface, which gives the skin a soft and smooth appearance. It also slows the loss of water from the skin by forming a barrier on the skin’s surface. Cera Alba (Beeswax) soothes and protects the skin from dryness without inhibiting its ability to breathe. It also serves as an emulsifier. Prunus Amygdalus Dulcis (Sweet Almond) Oil is obtained from the dried kernels of the almond tree; it is an excellent emollient, softening and soothing to the skin. It also helps the skin to balance its loss and absorption of moisture. Oenothera Biennis (Evening Primrose) Oil supports and improves the function of skin. It is recommended for dry and/or sensitive skin. A number of human trials found that EPO significantly improved the symptoms of atopic eczema, such as inflammation, itch, skin dryness, and scaliness. In Germany EPO capsules have been approved for helping with the treatment and symptomatic relief of atopic eczema. It can exhibit anti-inflammatory and emollient (moisturising) benefits. 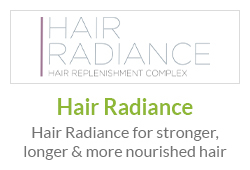 Hyaluronic Acid plays a critical role in the production of collagen, the most abundant protein in the body. Collagen’s main function is to sustain tendons, skin and cartilage. 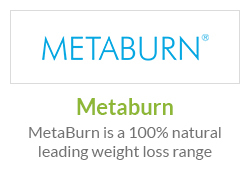 It provides integrity, firmness and elasticity to their structures. Maintaining body levels of hyaluronic acid is not only desirable for keeping moisture levels balanced, but also to promote abundant collagen synthesis, thereby keeping fine lines and wrinkles at bay. Punica Granatum Seed Oil has powerful antioxidant properties. 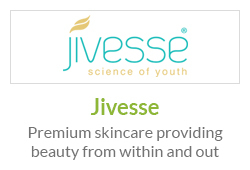 It therefore has anti-aging, nutritive and nourishing properties. Native to Iran, Pomegranate (Punica granatum) has a rich history in the traditional medicines of Ayurveda and Unani. It is a rich source of punicic and ellagic acids, which heal, protect and moisturise dry skin, helping to promote elasticity. Aloe Barbadensis Leaf Juice Powder is soothing, helps to heal and moisturises the skin. Tocopherol (Vitamin E). Vitamin E is a powerful antioxidant. It protects the skin from environmental pollution, helps to protect against UV radiation, is anti-inflammatory and helps to heal wounds. 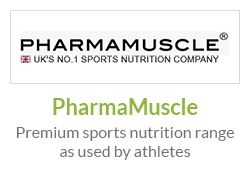 It therefore helps to ward off premature ageing. Vitamin E also helps to moisturise. Para-Aminobenzoic Acid helps to block UV radiation. Disodium Adenosine Triphosphate Found in all living beings. ATP is an energy collector and transformer which is involved in all energy consuming biological processes. It improves the skin’s energy level and its moisture content. Carica Papaya Fruit Extract helps to remove flakes of dead skin. It activates metabolic processes and the growth of new skin cells, thus skin acquires a more youthful appearance. Algin (water store from sea algae) forms a film of moisture on the surface of the skin. It exhibits water-retaining properties and therefore protects against the loss of moisture. Ethyl Ferulate is a natural antioxidant with UV-absorbing properties. It neutralises oxygen radicals which have arisen as a result of UV radiation and thus protects the cell against oxidative damage. Rosmarinus Officinalis (Rosemary) Leaf Extract exhibits a high carnosolic acid content. 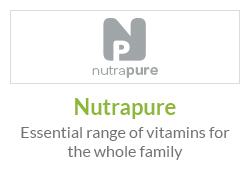 When applied topically it support the skin’s defence against free radicals, especially in situations of increased free radical stress, for example when exposed to UV radiation. Disodium Uridine Phosphate (UMP) from sugar-beet supports the repair of DNA. Rosa Centifolia Flower Oil stimulates while moisturising and hydrating. It helps to reduce skin redness and fight inflammation. Tried it once, a nice moisturizing cream for rough and dry skin, must admit, looking forward to purchase. I was in search of a cream that can stop my early signs of aging, thankfully, I was recommended biobees cream by my sister in law, to my utmost surprise, my skin looks a lot more younger and fresh than it was before using the cream!. it was a quick delivery with royal mail tracking code and packaged nicely. 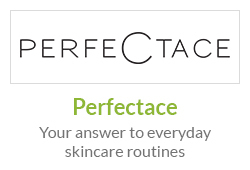 I am not in favor of paying/experimenting hundreds of pounds for face creams for respective results. But this cream is worth paying as it is effective, and very useful, I regularly use it, works brilliantly on my skin. Thankfully, its price is now reasonable. This is the best face cream ive ever used, absorbed easily, leaving my skin feeling very silky and soft. It does so much more than that , but you just have to try it to see how fantastic it it. I love it. I have paid the more expensive price, but I cant afford to do this all the time. Would purchase again if it were on a shopping site like before, when I originally discovered it. So please Bioceuticals wowch it up! It was delivered in a nice package via royal mail next day delivery. started using it and it Feels like silk on my skin, very refreshing and even better with the price reduction! I wouldnt normally spend this much on a cream but I got it through a wowcher deal and am now totally hooked! If it didnt work so well for me, Id probably be more fussed about the price.